Two more Authorized Installers of Panasonic solar Modules HIT have moved up to the rank of Premium Installer. Launched in 2016, Panasonic’s Solar Installer program provides a number of value-added benefits and business opportunities to partners who are able to meet Panasonic’s high standard of excellence. Last year, twelve installers attained Premium Installer status through this program. 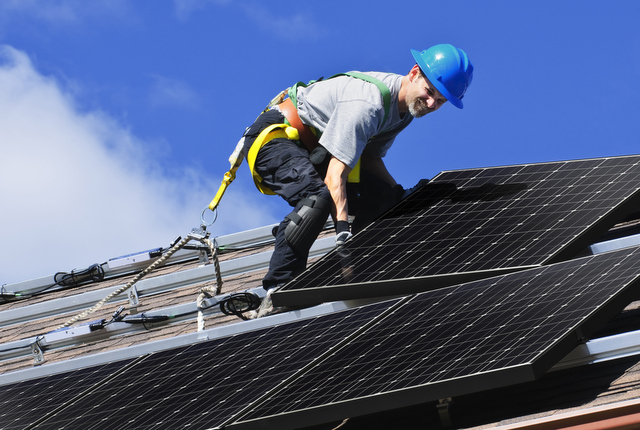 Panasonic’s Solar Installer program is comprised of “Authorized” and “Premium” Installers. Authorized Installers promote Panasonic as their primary brand of solar modules and receive a range of benefits from Panasonic to enhance their offerings to customers. To attain Premium Installer status, a company must complete a minimum requirement of HIT installations and meet an annual wattage target. As part of the program, Premium Installers are involved in continuous efforts with Panasonic to promote the HIT brand. These installers receive leads generated from Panasonic’s website, where they are promoted as being a Premium Installer. In addition, Premium Installers are the beneficiaries of cooperative marketing funds provided by Panasonic, at twice the level provided for Authorized Installers, to help grow their business and attract new customers. Look for more coverage on the value of installer networks in our March/April Installer Issue. Subscribe here for FREE if you haven’t yet.